Switching to an all natural, green cleaning system in your home requires that you learn about all the essential oils that work for different purposes and how to use them. Many oils have the ability to disinfect, kill bacteria, deodorize and break through scum that even some industrial cleaners have a hard time cutting through. With just a few different oils you can get started with a basic cleaning system to keep your house clean and then build from there based on your personal home cleaning needs. These are some of the essential oils that you can add to your natural cleaning ingredients to care for your entire home. Rocky Mountain Oils has a great selection of oils at low prices. You can grab the individual oils to make your own cleaners or grab their already done up cleaners for your home. I bet years ago our grandmothers used real lemons to clean things. Best for use on floors, tile and counter-tops because it is a great disinfectant, brightens surfaces and leaves behind a great scent. In the bathroom, this oil is the best help for scum on walls and glass doors, removing the hard to move residue. And, it leaves the bathroom smelling fresh. 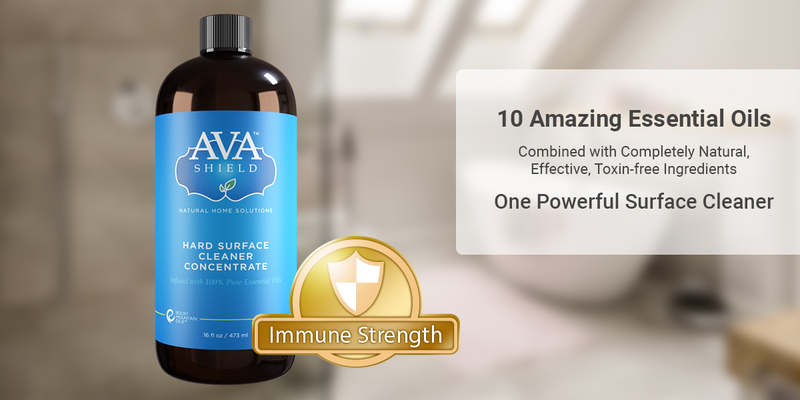 A great oil to use with water as a glass cleanser, and can be used on any other clear surfaces. The oil does not leave any streaks or residue behind and is the best oil for removing the type of scum that collects on glass. For stains on porcelain or counter-tops, tea tree essential oil is your best choice because it is able to get into the tiny pores found on these surfaces and clean out or kill the bacteria that resides there. Tea tree oil is best blended with lavender and lemongrass for wiping down generally dirty surfaces, but best applied directly to porcelain stains that need cleaning. Another great benefit of using a tea tree oil is that it repels bugs so if you have pets that go in and out this is a great one to use. Perfect for any areas of the home that have tough grease or sticky residue, orange essential oil applied directly to the area is a great way to remove and break down the substance. Orange also kills bacteria and viruses, so not only will it remove tough grease, but it will help keep the family healthy by reducing winter bugs that we bring into our homes. Known as a germ buster, mildew deterrent and odor eliminator, which is why its great for use in the bathroom or in carpets. Added to your carpet cleaner, or sprayed onto the carpet, before allowing it to dry out fully, peppermint does a great job at keeping these carpets clean and fresh smelling. In the bathroom, peppermint oil works to keep everything smelling fresh and bacteria free. In most cases, essential oils can be added to your other natural cleaners, or combined to create basic cleaners with household products that you already have on hand. If scent is important to you, it is okay to blend the different essential oils together to create a fragrance that you are happy with, but will also work to keep your home clean. Essential oils are a part of every single product I make for cleaning. I like using only natural and edible products for cleaning (I have a toddler). Baking soda and vinegar my favorite! Thank you for sharing! I love using essential oils for cleaning. Tea tree and lavender are my oils of choice. Not only does peppermint oil keep carpets clean, it also keeps fleas out of your carpet.